Sevilla or Seville Spain (pronounced sey-vi-ya) spews charm. This town is what you think of when visualising Spain. 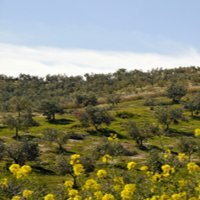 Bullfights, Flamenco, bitter oranges, all things you will find in Sevilla. Unfortunately, I think most people take Seville as a side trip from Madrid and truthfully this city deserves more than 2 days and one night. Seville is such a great town because it is large enough to have a city feel but small enough not to feel overwhelmed. Sevilla has the second largest cathedral in the world, an alcazar instead of a palace, and of course a fantastic bullring. As the gateway to the New World, Seville Spain boomed when Spain did in the 16th century. Amerigo Vespucci and Ferdinand Magellan sailed from its river harbor to discover gold, silver, cocoa and tobacco. Sevilla was Spain's largest and richest city in the 17th century but their golden age ended when the Spanish empire crumbled. They hosted the 1929 World Fair to help promote tourism. Unfortunately, It crashed along with the stock market. In 1992, Seville held another World Fair. This time, it was successful and left them with a great infrastructure. An airport, the Ave train, new bridges, and a new train station. In 2007 main boulevards around the cathedral were made pedestrian, which makes it even nicer. Today It's Spain's fourth largest city, with about 700,000 people. It's Andalucia's star city and most popular destination. It has a special ambience, charm, and history. You definitely feel like you are stepping back in time, yet has all the modern desires you would find in a newer city. If there was ever a city to stay a while in and relax, this would be it. It's special, magical, and becomes a favorite for many....and once you get here, you'll know why. No words needed. 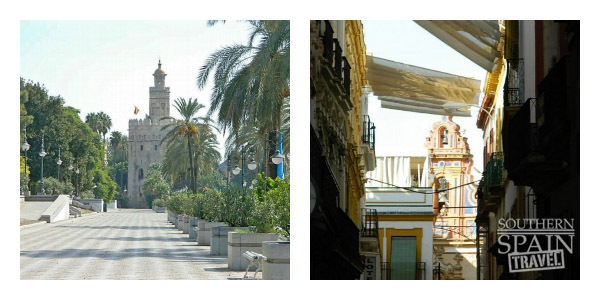 Most of Sevilla's charm comes from its Moorish influence, with its winding streets instead of any grid pattern. The idea was if you kept the street narrow and winding than you would get lots of shade in the streets, the hot African breezes would die off inside these winding streets, and what better way to get enemies and tourist lost and off their guard then have them go through a maze of streets. I know Seville and I get seriously lost in these streets. Of course that is part of its charm and how you find some of the best restaurants and hidden squares. What impresses me the most with this city is its beauty. From streets lined with orange trees, heavenly scented blossoms in the spring, to Parque Maria Luisa with its Plaza de Espana. Besides for the narrow streets, orange tree lined streets, it's pretty clean and everything is so charming. There's a secret around every corner, and much to explore. I think the best thing about Seville Spain are the people. Sevillanos are friendly, fun, outgoing, and guapos (handsome/pretty). Most people are prideful of thier city, as they should be.﻿Life works slower here, the people work to live not live to work…relax, tranquilo. Like the rest of Southern Spain, tapas are served in most establishments. There are also many ethnic and fine dining options too. 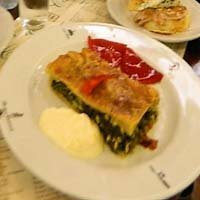 Their signature dishes are the Andalucian gazpacho (chilled tomato soup served with chunks of cucumbers and hard boiled eggs) and tortilla Espanola (egg and potato type of omelet torte). Vanessa usually gets this combination at every single restaurant we go to! 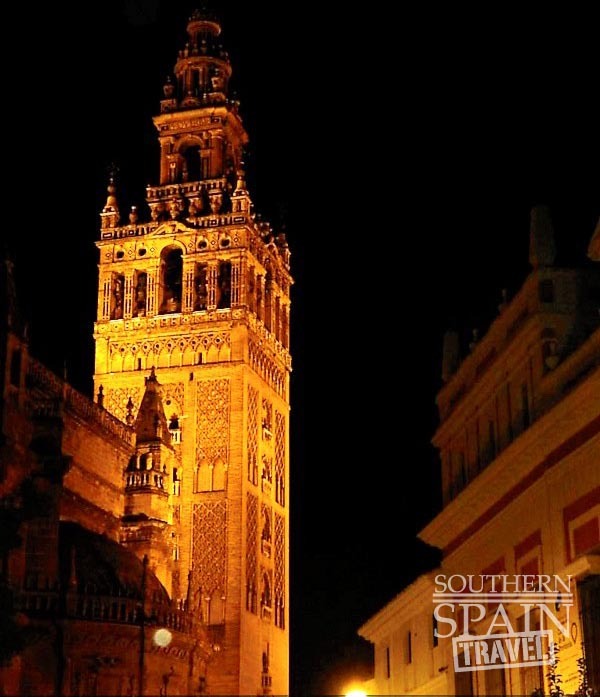 Visit the Cathedral and Giralda Bell Tower, the 3rd largest cathedral in Europe. See a bull fight in the Plaza de Toros or visit the bullring museum to learn all about the history of bullfighting, the matador's and thier cool outfits. Cross the river to Triana. Visit their pottery shops for which they are known for, and have a cerveza (beer) at a bar along the Guadaquivir river. Eat in any tapa bar and get a specialty regional dish. Take a relaxing time out at ancient Arab Baths. My favorite is called Aire de Sevilla. Shopping - Take a stroll down Calle Sierpes and the streets off of Plaza Nueva. 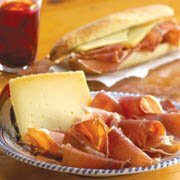 Browse the shops and stop in the tapas bars or sweet shops along the way. Visit the Museo Bella Artes, Sevilla's musuem of fine art. 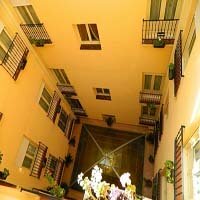 Take a walk through Barrio Santa Cruz, the old Jewish Quarter. Visit Parque de Maria Luisa Stop by and see Iglesia Colegial del Salvador, a beautiful church near the Cathederal. Visit the Casa del Pilatos, an amazing palace that is part musuem and residence of the current duchess. Stroll through the Iglesia de la Caridad, the most beautiful baroque church in Seville. Visit the Basilica de la Macarena, to get a glimse at the two most impressive floats used during Semana Santa (Holy Week). Corral del Agua is one of our favorite restaurant in Seville. Vanessa always gets the almond soap which she loves and I always get something different. We like this one because you can eat outside where there is lots of vegetation and a water fountain. To find it leave the catherdral keeping the palace wall on your right and you will see it in a few minutes. Restaurante San Marco serves good reasonable priced Italian food. I know you should be good tourist and be eating nothing but Spanish food however, this is located in what used to be Moorish baths in the middle ages. The place is air conditioned and not too far from the cathedral. Seville’s oldest restaurant founded in 1670 and having being continues own by the Rueda family since 1858 is authentically sevillano. I enjoy dropping in having the curt bar tenders keep my tab in chalk on the counter. I know they have seating but it so much cooler to stand at an upturned wine barrel and eat your tapas. This restaurant offers tapas or a more formal sit down dining area. Known for their seafood this restaurant is frequently visited by locals. I went here with my parents and Spanish host family for dinner one night. I got fish that was very good but would like to note that in most of Spain they do not cut the fish into filets, they gut it and cook it whole. Vanessa loves this restaurant mainly because it was vegetarian friendly and the food was very good. The restaurant itself is actually Cuban inspired. This place may be a little difficult to find as it is tucked between other buildings not far from Plaza Salvador but very cute and very worth finding. Try the the Roquefort croquets.